ANS Plastics manufactures durable jumbo plastic bags. Top Quality Shopping Bags, Great prices, excellent service, available in custom colors and sizes, great lead time…. A.N.S. 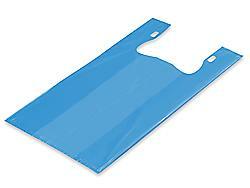 Plastics Corporation designs great plastic jumbo bags to meet your needs. When it comes to finding the right plastic jumbo bags for your company or organization, finding the right manufacturer is of high importance. Whether you’re a restaurant, a dollar store, or a grocery store, or a liquor store, needing a custom liquor plastic bag for that matter, you can benefit from purchasing plastic jumbo bags from A.N.S. Plastics Corporation.. There are a number of benefits to using plastic jumbo bags. Jumbo bags allow customers to carry a large number of items, which makes it easier for retailers to sell more products. With that in mind, A.N.S. Plastics Corporation manufactures jumbo plastic bags that are designed to meet this need. Jumbo-sized plastic bags manufactured by A.N.S. Plastics Corporation are quite large. They are 18 x 8 x 30 inches in size. Jumbo-sized bags are an asset to any company. One case of A.N.S plastic jumbo bags by A.N.S. Plastics Corporation contains 240 to 250 jumbo bags. Made durable and strong, jumbo-sized plastic bags manufactured by A.N.S. can be used for any shopping expedition and are large enough to accommodate a large shopping trip. A.N.S will print your company’s logo on a plastic jumbo bag, making it easy to advertise your business on national, international and regional scales. Logos are tailored to your specifications and can be custom printed onto the jumbo bag you plan to purchase. Jumbo bags manufactured by the company can be found in blue on the company’s website, but can be designed in a variety of other colors. All plastic jumbo bags manufactured by A.N.S. are recyclable and reusable. Made factory direct, plastic jumbo bags by A.N.S Plastics Corporation are high density and strong. These bags are gusseted and possess the ability to don coupons and information about your company. This makes it easy to do targeted advertising to your intended audience, whether it’s on a local or national scale. Fifty years of experience have made A.N.S. Plastics Corporation an industry leader and premier manufacturer of plastic jumbo bags. Many traditional jumbo bag manufacturers skimp on the number of bags they sell to retailers. A.N.S. Plastics Corporation, on the other hand, can manufacture as many as 5,000 bags for interested customers. Adding coupons to your jumbo bags will entice customers to buy from you. Artwork and setup for your plastic jumbo bags are also free. Because bags are customized to your specifications, you chances of making more sales are significantly increased. Providing jumbo bags to customers also entices them to purchase more. Customers who purchase jumbo bags from A.N.S. only pay for the cost of printing plates. This is a one time fee. Once this is paid, customers soon have a customized bag that meets the needs of their company. Your vendor has the ability to advertise on your bags and share the cost of their production. According to A.N.S. Plastics Corporation, this allows your bags to serve as a walking advertisement. This is a great asset to those who can’t afford the high cost of advertising in the media. Check out also our liquor bags here in a variety of sizes.